The electrified blues of guitarist Clarence Garlow came spiced in zesty zydeco, long before the term came into play. Garlow was a product of the Louisiana bayou: tiny Welsh, near Lake Charles, was his birthplace on February 27, 1911. His fiddle-sawing dad and uncles had a string band, and Clarence followed in Pop's footsteps when he was nine. Relocating to Beaumont, Texas as an adult, Garlow was a mailman and amateur musician until his idol T-Bone Walker inspired him to take up the electric guitar in 1949. Still getting his chops together, he joined the union and got some gigs. While sitting in at a Houston nightclub, Clarence was spotted by Macy Lela Henry and Steve Poncio from the local Macy's label. 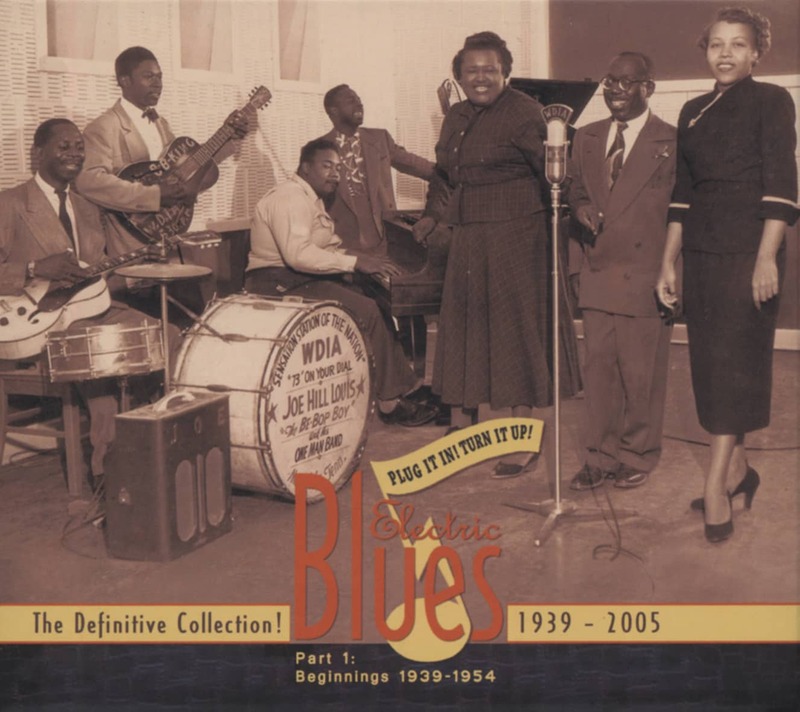 Despite Garlow's misgivings that he wasn't quite ready, they brought him into a Houston studio with a band that included saxists Shelby Lackey and Wilmer Shakesnider, pianist Johnnie Mae Brown, and drummer Johnny Marshall, and waxed his joyous Bon Ton Roula (translation: Let The Good Times Roll), a celebratory anthem featuring his hot lead guitar and irresistible vocal. In early '50, it hit #7 on the national R&B charts. 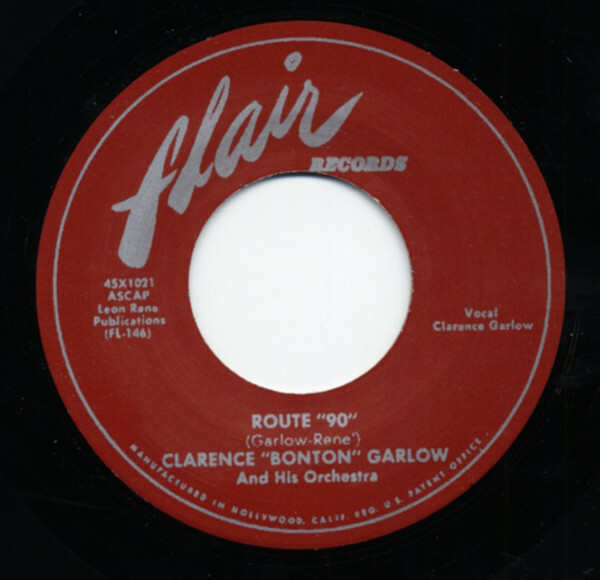 Sporting the nickname 'Bon Ton,' Garlow recorded for Feature, Lyric, Aladdin (where he cut New Bon Ton Roulay in 1953), Flair (the torrid Route '90' and Crawfishin'), Folk Star (on accordion), and Goldband, where he doubled as A&R man for boss Eddie Shuler. But performing and studio work weren't Garlow's only way of making a buck: he operated his own nightspot, the Bon Ton Drive-In, and hosted his own 'Bon Ton Show' on Beaumont's KJET radio. One of his listeners was a young guitarist destined for a level of stardom that Clarence never dreamed of. "Clarence would play great blues records," says Johnny Winter. "He had a show from about three to six, and then he'd go from eight to 12, he'd play gigs. And he'd play a lot of his own records, and tell everybody where he was gonna be. And luckily, the radio station then was like two doors down from where my grandmother lived. So I'd be staying over at her place, and I could just walk over two doors and see Clarence. "I could go out to some pretty rough gigs, and he'd watch out for me when I was a little kid, to make sure nobody killed me. He was one of the first blues musicians that I actually got to see and watch close up and learn from." Garlow segued into TV repair in his later years. He died July 24, 1986 in Beaumont. When someone spins Bon Ton Roula, the good times roll once more. Customer evaluation for "Route '90' b-w Crawfishin' 7inch, 45rpm"